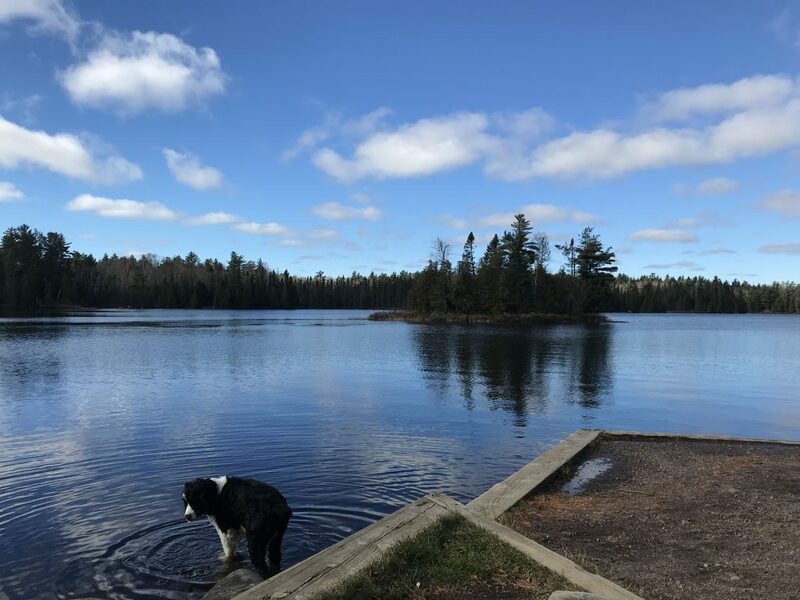 10/24/18 – Over the past week we’ve been getting quite a few reports of substantial ice on some of the smaller area lakes, making travel quite difficult. 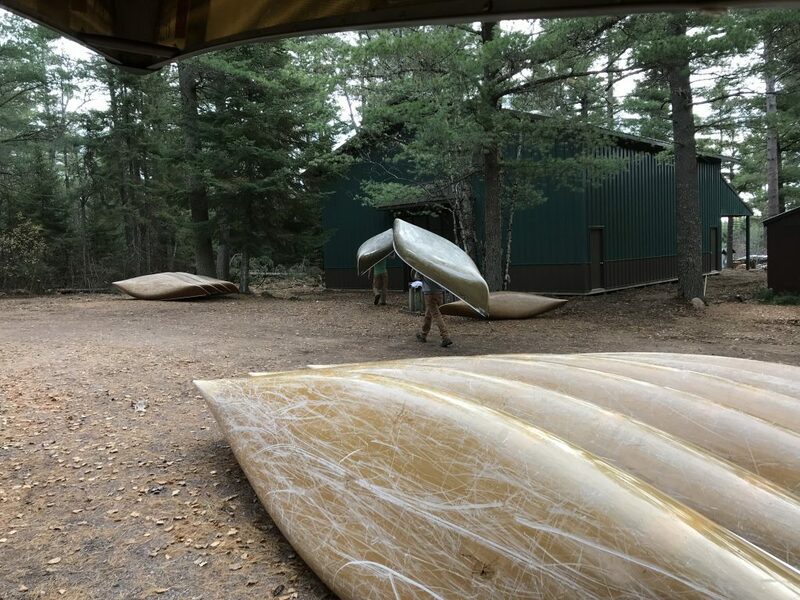 As a result we’ve put most of our canoes away for the season and almost completed winterizing the store. The finishing touches were put on what we are currently calling the “Square Dome” just in time to safely stow away canoes for the winter. 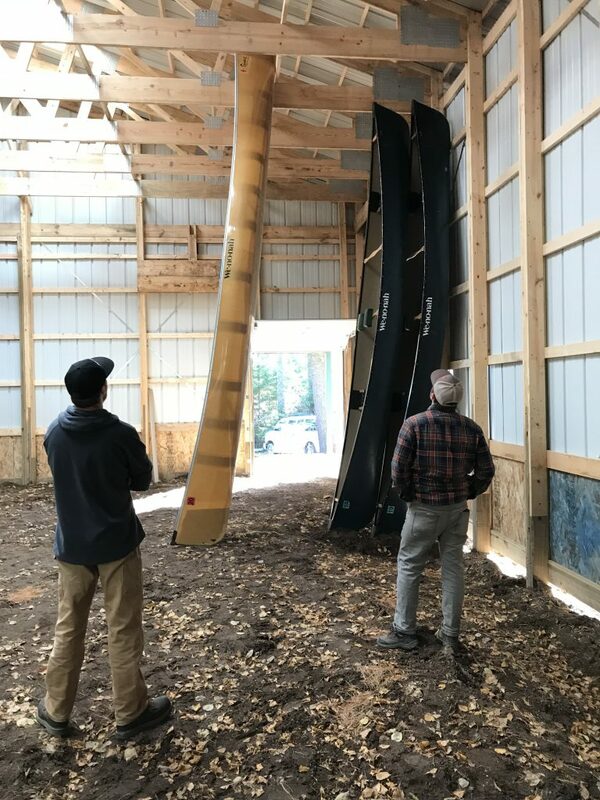 Tyler and Dan ponder the best way to fit all the canoes. Huckleberry dips his toes in the water this afternoon rather than his typical swim. He must have noticed the ice.